Whether you’re launching a new site, blog, product or service, building anticipation and desire is the best way to generate leads and keep your audience engaged. Creating a strong coming soon page can be a great vehicle for accomplishing this. However, the last thing that you want to do is to create a generic web hosting template for your coming soon page that many site owners tend to do. 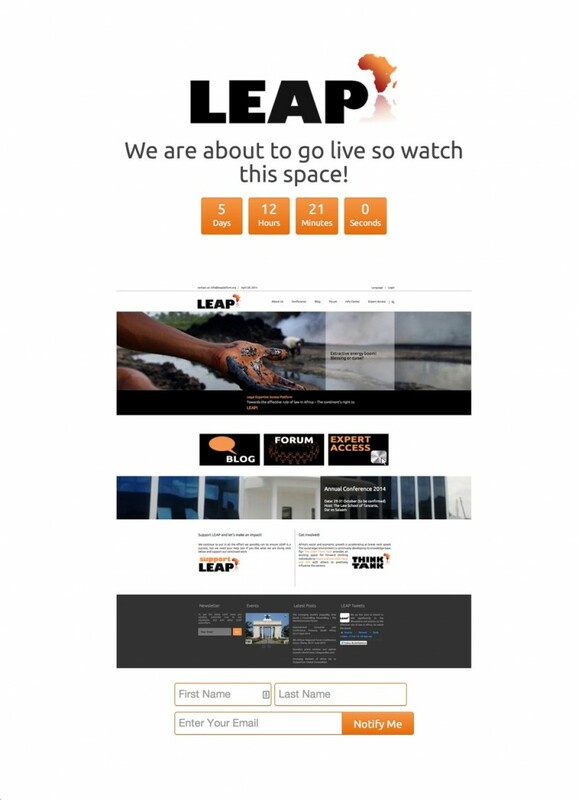 Leap gives their audience a glimpse into what they can expect from their website. This quick snap shot of their almost finished website design draft highlights the main benefits that the user will be able to use like the blog, forum and expert access. If you have a website that’s still far from done, ask your designer for a strong mock up that you can use to tease your audience. 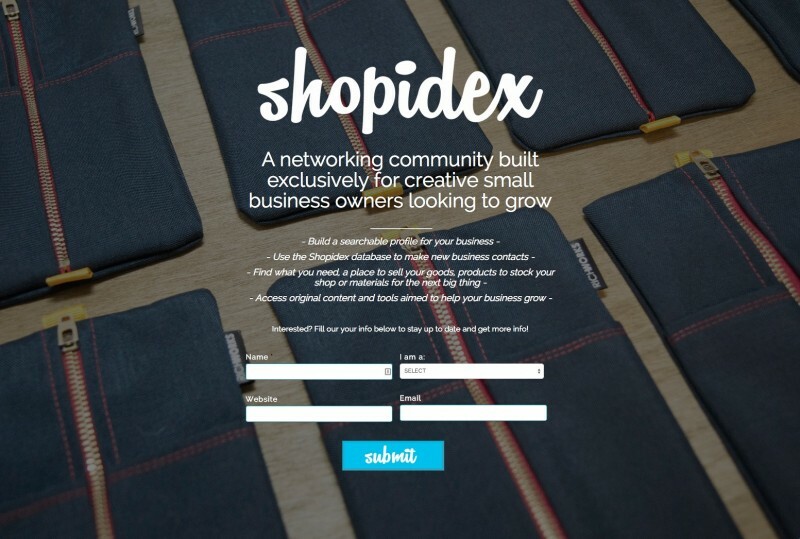 Shopidex uses a strong logo and a great headline to call out to their audience. The background that’s used is a high quality photo that seems to work in adding value to their proposition. Beneath their headline, they use benefit driven bullet points to sell the visitor on signing up for their launch. It’s followed by a neat form with a great web button that’s enticing to click. 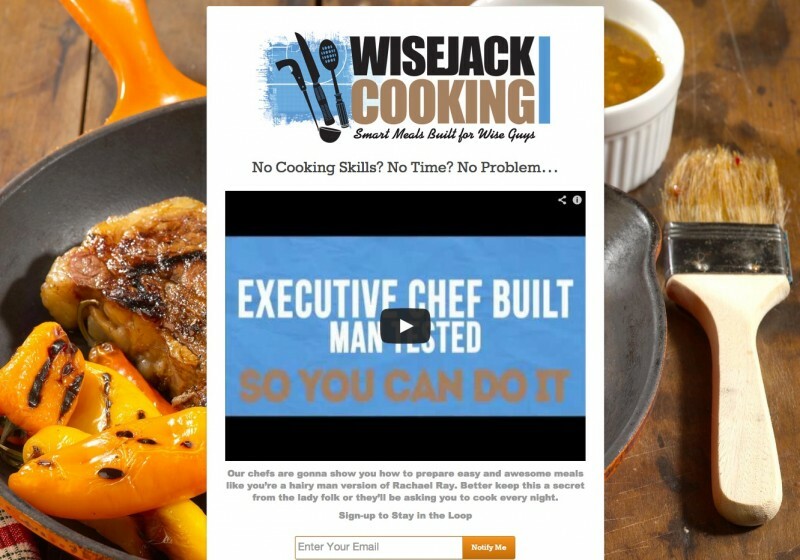 This coming soon page for a cooking program comes straight from the playbook of the big movie studios. The page uses a trailer video to sell the user on the upcoming launch. This can be replicated by hiring a cheap freelance video editor to come up with an exciting 3-minute hype piece. Once you create the video, you can host in on YouTube in an effort to get more exposure for your launch. The Astonishing Post is a blog that is being planned for launch. The site owner has done a good job of creating a very vivid, unique and eye-catching design. The cover looks like it’s from a real magazine and the background is made up of old magazine cutouts. In this example, the visual presentation alone sells you on the concept and makes you want to sign up to get updated on the launch. Instead of using boring web hosting templates, why not stir up anticipation by creating a sales page for your new product launch? That’s what Panda Doc did with their product. They quickly describe what their product will do in their headline and in the follow up description. They also have a video that demonstrates how their product will work on the right hand side of the site. At the very bottom, you see a row of copy that explains the various features and functions. One of the things that you’ll notice in all of the five example is the fact that all the coming soon pages has a lot of design work put into it. There was a lot of thought and creativity that went into creating the visual presentation. The Astonishing Post didn’t have the most powerful copy but the visual presentation was so impressive that it made you want to sign up to see what they were going to deliver. The lesson here is to create a good design if you want to get people on board. Your headline should highlight the big benefit of signing up to receive updates for your launch. Rather than try to sell something, you should try to add some mystery and tease a benefit the audience might get unless they were already notified about your upcoming product launch beforehand. You can follow up your headline with a strong paragraph that describes what they can expect. Short and punchy bullet point copy will also do a great job in supporting your headline. Using a teaser video is one of the best ways to build anticipation. Videos can connect with people on a level that regular text simply can’t. As a result, it can induce more emotions and create desire for your launch. Some ideas for the content can be a demonstration of what your product/service does, a preview of what to expect, or simply an exciting sales presentation. Again, you don’t have to know much about video editing. This project can be done by hiring a freelancer. Instead of just telling your audience to sign up for updates, why not offer them something of value as well? This gives the user a stronger reason to sign up to your email list. You can give away content that’s somehow tied to your launch. This will connect value to your announcement when everything is ready. Another way to offer value is to promote a contest to celebrate your launch. Just make sure that the prize is tied to something your target audience uniquely values or you’ll attract unqualified leads. Your coming soon is a hidden opportunity for you to get direct feedback from your target audience. After they sign up to your email form, ask them questions that can help you do better with your launch. This will help you refine your strategy and really get an idea of what your audience wants. If you have trouble receiving feedback from your audience, you can incentivize them with content that’s valuable to them. Just make sure you place everything on your thank you page so that it doesn’t get in the way of the email subscription. With those examples and tips, you should be ready to design and build your new coming soon page. Most of the tips are fairly easy to implement, but make sure you don’t neglect the design of your page. It will play a big role in helping to build perceived value and creating anticipation for your launch.